The focus of the Kolleg’s activities is the Alfried Krupp Fellows Program, which was started in 2007 and in which over 100 visiting scientists have participated. It offers outstanding scientists the possibility to carry out a larger scientific project at the Kolleg far away from their daily academic obligations. The Fellows are also encouraged to convey their research projects, which can include almost any subject, to early career researchers and participate in the University’s teaching with lectures and seminars. They give interested parties a first impression of their project in their own Fellow Lecture during their stay. 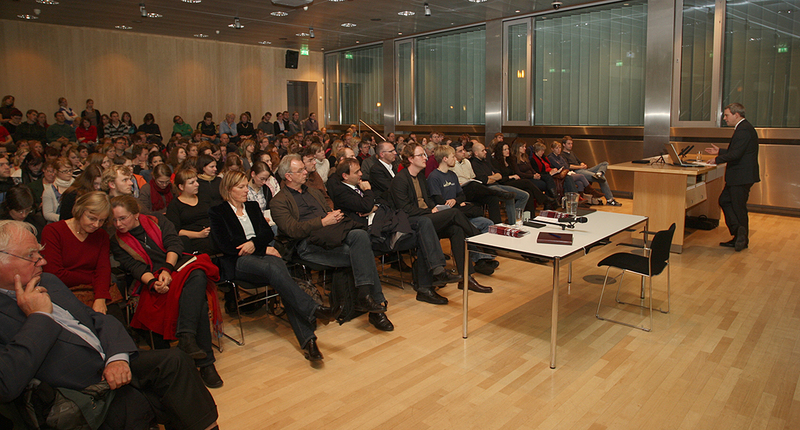 Professor Dr. Rainer Hegselmann, Fellow in the year 2012/2013, in conversation. 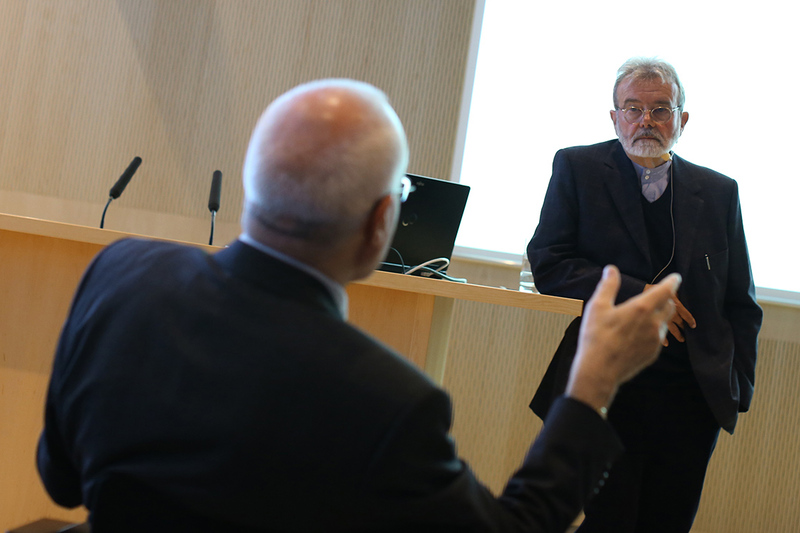 The former Fellows’ connection to the Kolleg is expressed by the alumni initiative, which helps maintain regular contact with the Kolleg, e.g. with an alumni get-together that traditionally takes place in June and the regular Alumni Fellow Lectures. Lecture title: "Neue Perspektiven auf eine Verflechtungsgeschichte Deutschlands im 19. und 20. Jahrhundert"
Lecture title: "Welche Rolle spielen genetische Vulnerabilität und stressreiche Lebensereignisse für die Entwicklung von Angststörungen? Ergebnisse der Study of Health in Pomerania"
Lecture title: "Die biologische Evolution des Gewissens – Strategien zwischen Egoismus und Gehorsam"
Lecture title: "Heiliger Krieg und Islam"
Lecture title: "Interventionen ins Gehirn und das Recht auf mentale Selbstbestimmung"
Lecture title: "Leben unterhalb des Meeresbodens!? Neue Einsichten zu Tiefseehydrothermalquellen"
Lecture title: "Nationalität in der dänischen Kunst des 18. Jahrhunderts"
Lecture title: "Mensch und Technik. Eine Bestandsaufnahme in der Philosophischen Anthropologie des 20. Jahrhunderts"
Lecture title: "Wüstungen – zur (potentiellen) Renaissance eines historischen Phänomens"
Lecture title: "Unquiet Voices and their Legacies: Orientierungsversuch im Dickicht der Inneren Emigration (1933 - 1945)"
Lecture title: "Cogito, ergo vivo. Phänomenologische Betrachtungen zum Verhältnis zwischen Wissenschaft und Leben"
Lecture title: "Die Erfindung der 'Völkerwanderung'"